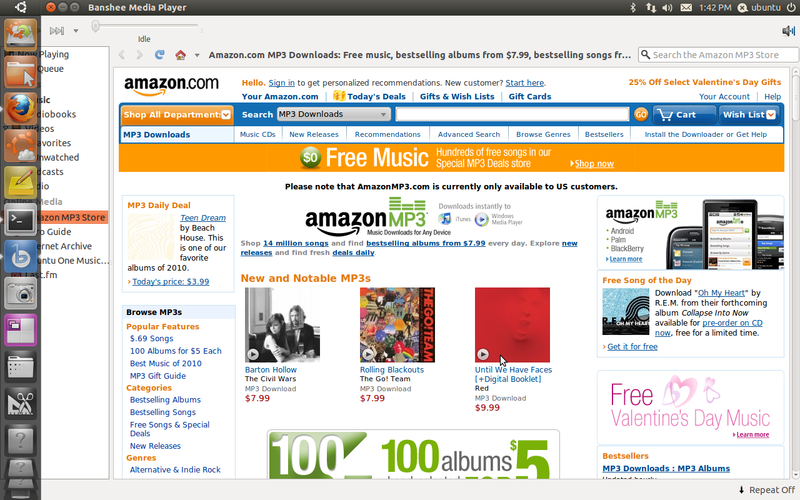 Ubuntu 11.04 "Natty Narwhal" alpha 2 was released a day ago. 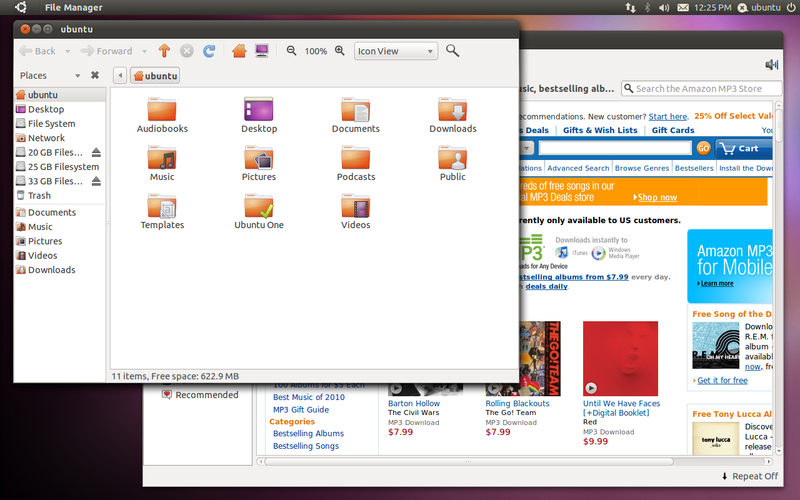 A lot has changed with Ubuntu since we reviewed the first alpha release of Ubuntu Natty some weeks ago. Here is a quick review of the latest release of Ubuntu 11.04 Natty Narwhal. 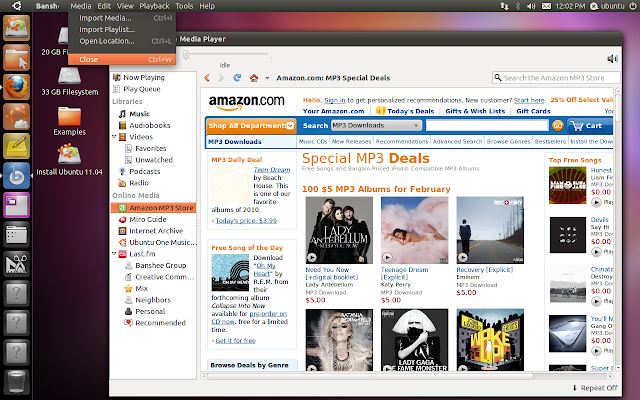 What's New in Ubuntu 11.04 Natty Narwhal Alpha 2? Yet again, Compiz is among the highlights. Above screenshot shows our good old Compiz Expo plugin, albeit a slightly modified one. Instead of the old way of displaying four horizontal workspaces as default, Ubuntu Natty tries a different approach. It shows the same four workspaces in a vertical manner and it looks pretty nice too. How much this is going to help an average user from a usability point of view is anybody's guess. Though I don't think that this minor modification will bring significant improvement to anything, I also don't find this as a major issue either. It just works. 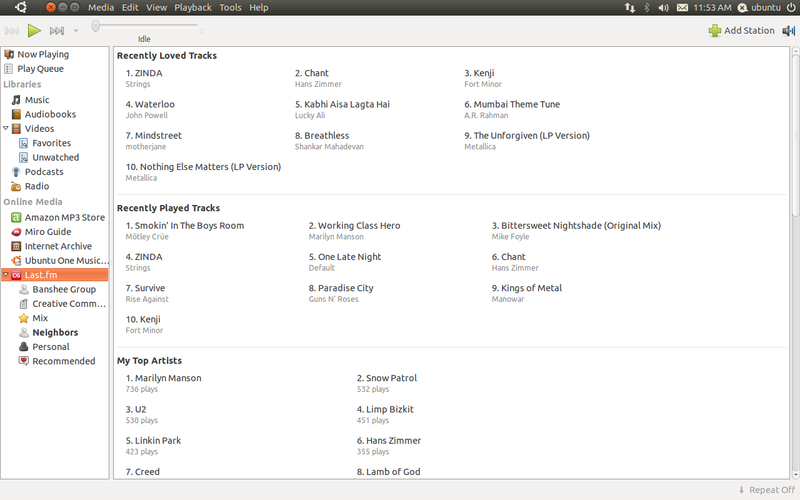 The much touted Global Menu in Ubuntu Natty is almost completely implemented, well, almost. You can still find minor glitches here and there. 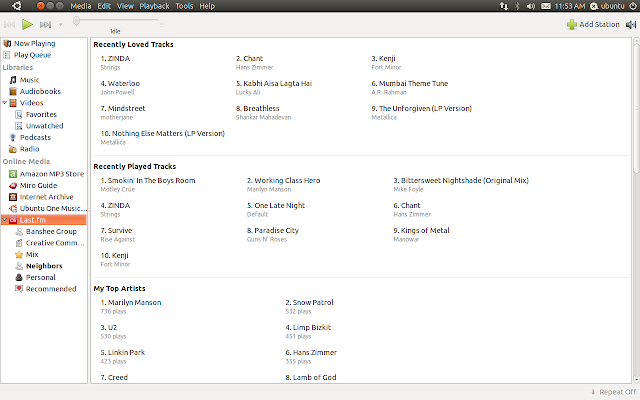 As you all should know by now, Banshee is the new default music player for Ubuntu. Did you noticed something else in the screenshot above? Eventhough the Banshee window is unmaximized, Global Menu for Banshee is still present. Same thing happened for Nautilus, GNOME-Terminal etc. Is that how it is supposed to work? I am not sure. I thought Global Menu was activated only while the windows were in maximized state. May be its just a glitch that will be remedied in the next release or may its a brand new "feature". Also, I don't understand why Firefox alone does not have a proper global menu integration yet. This was one among the things that we noted as an issue in our precious Ubuntu Natty review. The default dock/launcher app on the left hand side of the desktop now has the intellihide option. As you can notice is the screenshot above, while you move any window(Nautilus in this case) towards the left hand side, dock disappears automatically. This was a much needed feature I would say and it is now very neatly implemented. This is a welcome development. Unity now lists the installed applications in the above format. Though it looks good, it not very user friendly yet. There are no categories as we saw in GNOME Shell before and it is not very stable as well. Still requires a lot of work. Intellihide is now there by default as we have seen before. While in the window full screen mode, if you want to activate launcher/dock app, you either move the cursor to the top left corner(similar to what we have seen in GNOME Shell) or simply hit the windows(super) key. LibreOffice along with Banshee and Firefox 4 Beta 10 is now among the default list of applications for Ubuntu Natty. This was an expected move though. 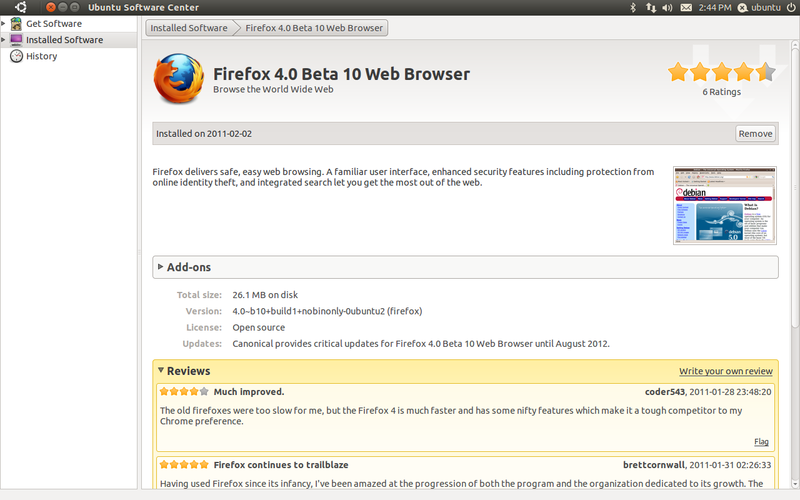 Firefox 4 beta 10 is an absolute delight to use. 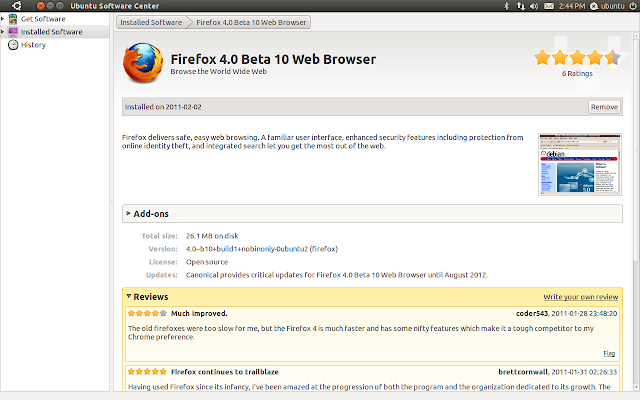 It is heartening to know that, Firefox 4 final is not yet released and the final Ubuntu Natty will have the very best version of Firefox as default. 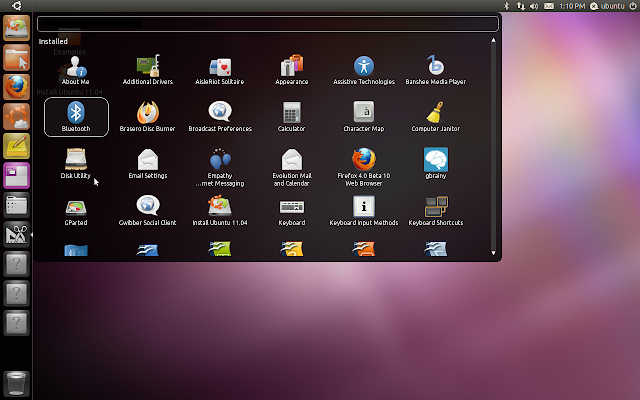 Ubuntu Natty alpha 2 also comes with Kernel 2.6.38 RC2 and X.org Server 1.10. 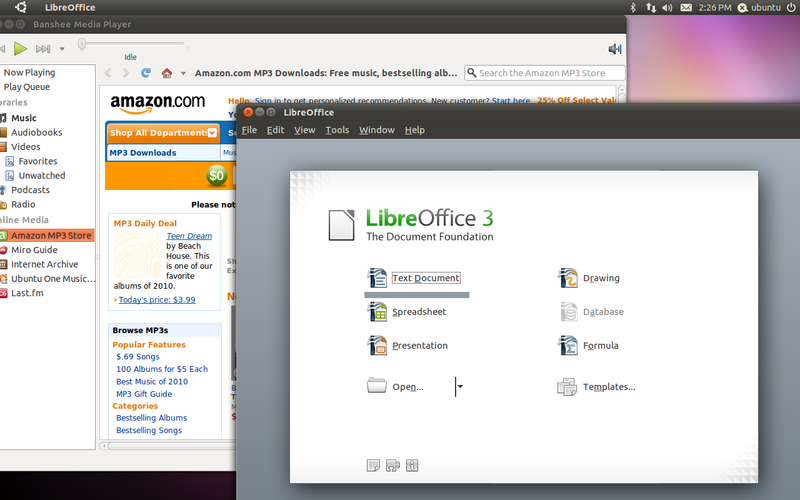 In an yet another significant yet anticipated move, Ubuntu Software Center finally gets ratings and reviews. Though the star icons showing the ratings on top is a bit too large for my taste, this bold move is definitely going to help a lot of users, especially newbies, in their search for the right applications for the desktop. 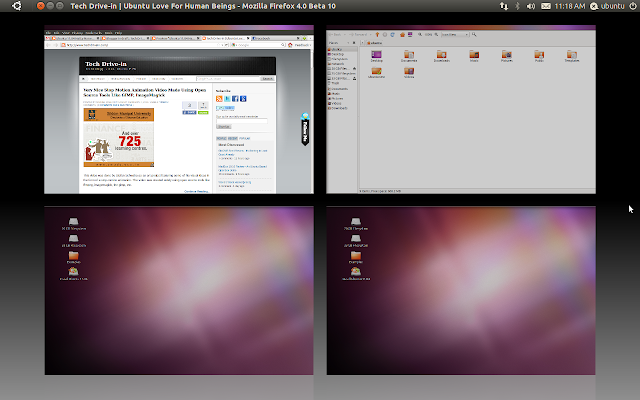 I have to say, I thoroughly enjoyed testing the latest Ubuntu Natty Alpha 2 release. Eventhough this was an alpha release, Ubuntu Natty never even crashed on me(though Compiz crashed once) and it was pretty slick too. In comparison, GNOME Shell crashed almost thrice while testing(read our previous GNOME Shell review for more info on that). So is it ready for daily use? Not yet. 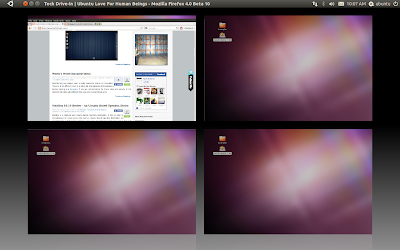 Ubuntu Natty is still very much in its alpha state and remains incomplete. Wait till the first beta release comes out. If you are eager to test Natty, may be you should install it in a USB Drive(or CD) instead. On a lighter note, you might also want to check out these very impressive Unity UI mockups.